The Fear of Living with I.C.E. Some persons in Oakland live in fear of being arrested and sent back to their original land although Oakland is a sanctuary city. 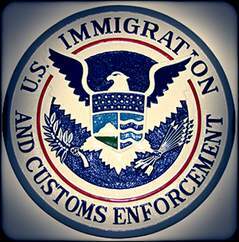 A sanctuary city is “a city (or a county, or a state) that limits its cooperation with federal immigration enforcement agents, “ICE”, in order to protect low-priority immigrants from deportation, while still turning over those who have committed serious crimes.” This is why the term “safe cities” is preferred,“ according to America’s Voice blog. “Fear is a basic survival mechanism that signals our bodies to respond, however, when people live in constant fear, whether from physical dangers in their environment or threats they perceive, they can become incapacitated,” according to the University of Minnesota’s Taking Charge of Your Health and Wellbeing website. 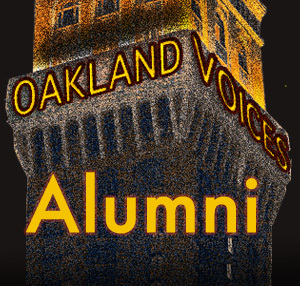 Oakland Voices’ Patricia Contreras, Ryan Barba and Hannah Moore have written about this type of fear experienced by residents of East Oakland, including themselves. In Strengthened By Ice, Barba shared his memory of the effect of deportation on his high school friend. His father “was an undocumented immigrant who had been deported three times, resulting in damaged relationships within his family due to stress over financial struggles and daily concerns over his father’s well being. My friend’s direction was lost and his grades suffered. Moore describes an incident in A Dream Deferred? when one of her students received a Snapchat message – “ICE RAIDS hitting the Fruitvale, tell all your friends and family to be safe out there.” Moore was concerned and nervous, her colleague responded calmly. “Before we make an announcement or alarm the students, let’s get some facts,” she said. Other examples of fear: Ray Sanchez of CNN reported that some families don’t answer knocks on their doors. They’re taping bedsheets over windows and staying off social media. Nervous parents and their children constantly exchange text messages and phone calls. Families often are blended, with many families including both U.S. citizens and undocumented immigrants. “People are crying and nothing’s happened to them yet. It’s just the thought of what could happen,” reported Ivey DeJesus , PA Real Time News. 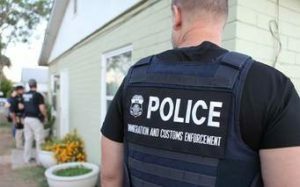 At the beginning of the year, Oakland’s Mayor Libby Schaaf received official word that ICE was going to raid sanctuary cities and warned the community. Since then, she has been scrutinized to determine if her action was illegal and whether she “could be imprisoned,” reported Kimberly Veklerov, a San Francisco Chronicle Writer. Adamant about her decision, Schaaf said she’d be incarcerated to defend the policy, according to Bay City News. Congressman Steve King (R-IW 4th District) proposed a bill called the Mayor Libby Schaaf Act that states “tip off illegals, go to prison” for up to five years. Schaaf supports her stand by saying county, city, state and federal government are separate entities that can create and enforce their own laws. What are undocumented immigrants to do? Apply online for citizenship and green cards, etc. including extensions and renewals immediately upon arrival or before one’s time runs out. Know your rights, one won’t just be sent home, there’s a process. Seek legal advice, some excellent resources are Centro Legal De La Raza, 3022 International Boulevard, Suite #410, Oakland 94601, Bay Area Legal Aid, 1735 Telegraph Avenue, Oakland 94612, 1-888-330-1940, Asian Pacific Islander Legal Outreach, 1305 Franklin Street, Oakland 94612, 510-251-2846 and East Bay Law Center, 2921 Adeline St, Berkeley 94703, 510-548-4040.